Ashtami is never complete without the quintessential Bhog at the Para Pandal. It has been a tradition ever since I remember- going out at noon, all dressed up in the saree or the Panjabi, for the Khichudi and Payesh. However, this year we knew it would not be possible for us to go out, having certain other pre occupations. I couldn’t help but feel trifle depressed- after all the Pujas have certain integral rituals – without any of which it is incomplete- Ashtamir Bhog being one of the “you just cannot miss” ones. But, I had an unexpected savior! 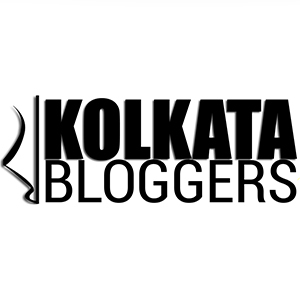 As I was browsing the menu to order in on Shashthi night, on the Zomato app, I discovered a separate tab called “order Puja Bhog”. 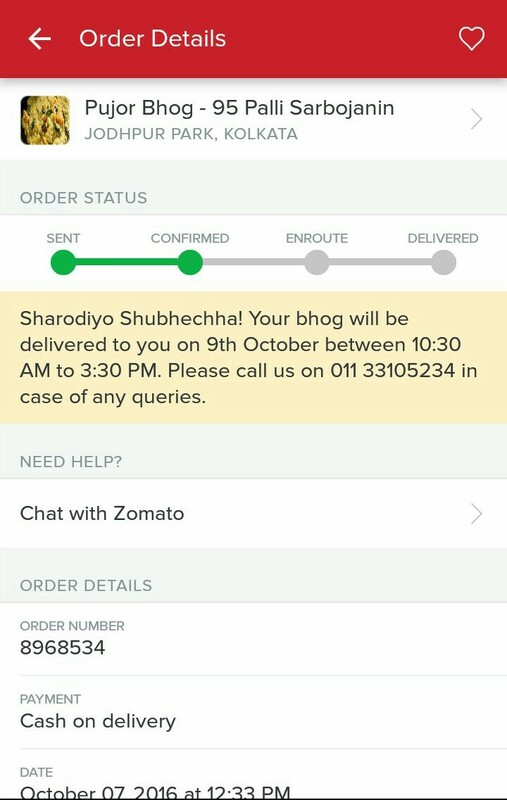 Curious, I clicked- and to my surprise- found Zomato was taking orders for home delivery of the Bhog, in association with several Pujas in different neighborhoods of Kolkata. I was quick to find out one near my home, and immediately placed an order- lest “stocks” ran out! And today afternoon, when the bell rang at 2PM I exclaimed in delight. Yes, there was my Khichudi, Payesh and Labda neatly packed in plastic containers! And did I say all these was free of cost 😀 ? Thanks Zomato- You just made my day…er Ashtami afternoon special ! Next Post And thus, I became a father ! Wow, free of cost is a nice touch, they seem to know their customer service!